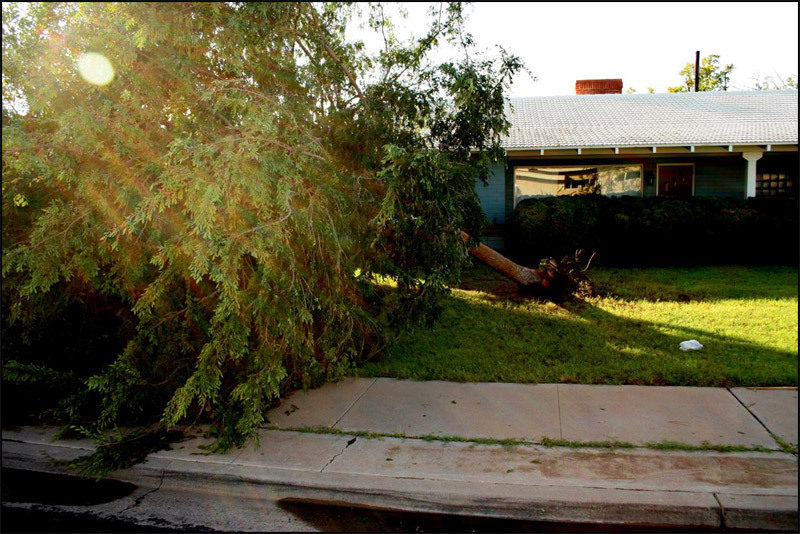 The residents of 27 N Beliew nearly donned mourning clothes under black umbrellas when an intense pre-August monsoon blew down their favorite elm. Second split lightening and thunder sounded like a rapid pulse EKG as the trunk leaned past the strength of its roots. More than one ambitious landscaper asked if they could come and dismember and dispose of our tree's remains. But our faith held out until the arrival of close friends, family, and a a bulldozer resurrected the tree. Maybe we'll get some silk flowers to lay at the site of the miracle.